Coach Matt learned traditional Muay Thai directly from the source. A student of Muay Thai for over fifteen years, Matt's first teachers were Trirata Earmsmuth and Kaensak Sor Ploenjit, universally considered one of the ten greatest Thai boxers of all time. Matt was also privileged to train for more than half a decade with Said Hatim. Matt has tested his skills in the ring many times as a fighter - taking his first Thai fight at age 15 - which has given him a necessary understanding of what does and does not work in combat. Matt is currently a purple belt in Brazilian Jiu-Jitsu under Dino Costeas and his years of grappling experience have allowed him to modify his striking system for maximum efficacy in the mixed martial arts cage. Prior to studying Muay Thai, Matt studied Taekwondo and earned the rank of black belt. 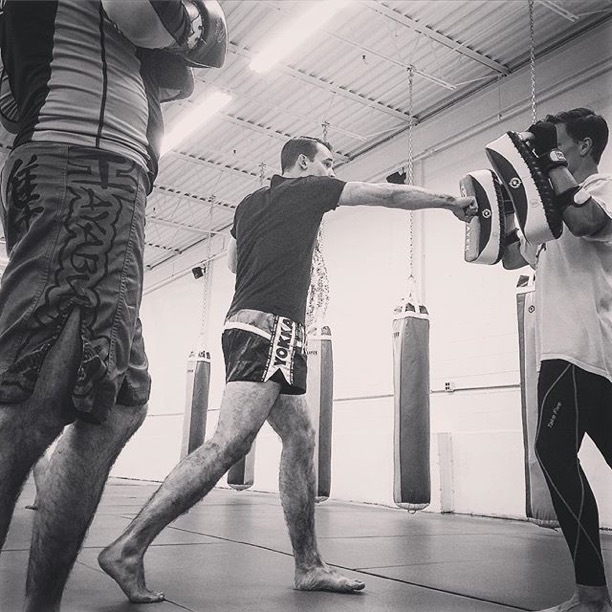 He focuses on building strong technical foundations in his students, bringing an easy smile and sharp analytical mind to all of his Muay Thai classes.